Two of the most physically grueling events in the Adirondacks take place right here in the Whiteface Region! Participating athletes will enjoy the clean, crisp mountain air as they complete these amazing competitions. 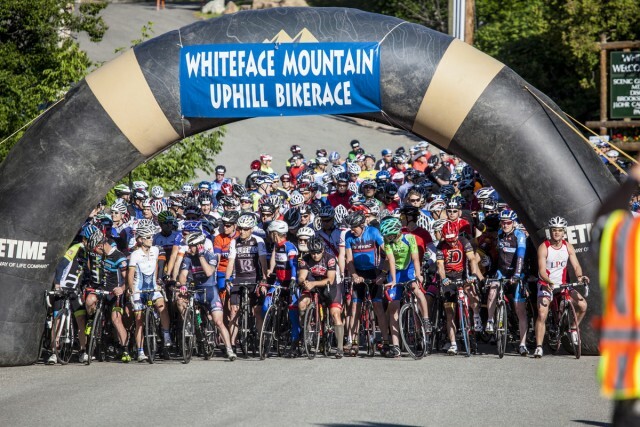 The Whiteface Mountain Uphill Bike Race on June 4 is a challenging ride in which cyclists ascend the 11 mile, 8 percent grade of the Whiteface Mountain Veterans Memorial Highway to vie for the highly coveted first place trophy. The 2016 race marks the 15th edition of this early summer race, which has grown over the years to include nearly 300 competitors. The mass starting group takes off from the Whiteface Mountain Ski Center entrance and then snakes a little over 3 miles downhill to Wilmington before hitting the Memorial Highway and the "big climb" of 11 more miles. It's a great spectator event to watch from the "four corners," where the Memorial Highway, Route 86, and Bonnieview Road intersect in the middle of Wilmington. Check it out, and maybe it'll make you want to put this race on your own bucket list. While the Uphill Bike Race is a pretty big deal, it's still just a small part of a weekend cycling celebration called The Wilmington Whiteface Bike Fest. The event is a mix of uphill, downhill, serious competition, and family fun. This year, the 7th installment of the bike fest, should prove to be bigger and better than ever with a vendor expo, demo bikes, free group rides, kids activities, and the infamous "Poor Mans Downhill." The capstone event is the Wilmington-Whiteface 100k Mountain Bike Race, a qualifier for the famous Leadville Trail 100 Race in Colorado. Come see what it's all about on the weekend of June 17-19. There's more to summer than biking in Wilmington! Every Thursday the town beach at Lake Everest plays host to the summer music concert series, featuring a different regional band each week. Bring your chairs, blankets, coolers, and a picnic and make an entire evening out of it. There are even grills on location if you feel like a BBQ. The local population really supports this event, so join in and mingle while you dance the night away. The series begins on July 7 and continues through August 18. The music starts at 6 p.m. every week, so show up early and get a good spot! The best anglers in the United States will descend on the region the first week in June for the Team USA National Fly Fishing Championships. This event follows closely in the footsteps of the 17th annual Two-Fly Challenge on the Ausable River in mid-May. The National Fly Fishing Championships will see 60 of the best fly anglers in the nation vie for the top spot. 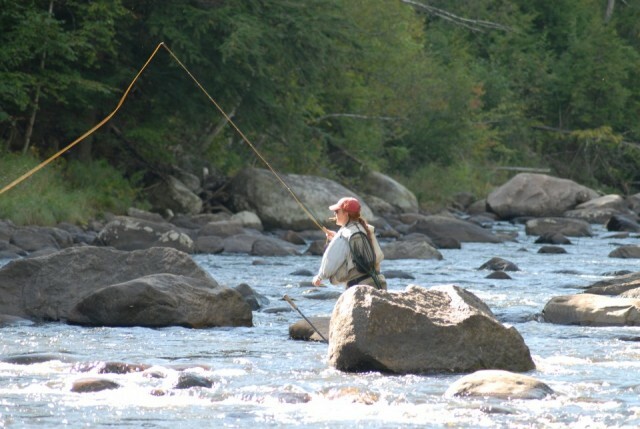 Fishing takes place in several regional waterways, including the famous stretch of trophy fishing waters in the Wilmington section of the Ausable River. Anglers will fish Thursday and Friday from 8 a.m. to noon, and then from 2-6 p.m. Saturday will see only morning action from 8 a.m. to noon. Get out and watch some of these amazing anglers on the water. We hear they're super friendly and love to give out tips! They are also looking for volunteers, so if you're inclined to sit in a chair, watch somone fish, and write down a few measurements now and then, step right up and volunteer! You can sign up online here. Don't breeze in and out of the Whiteface Region in a day! There are lots more events over the summer months, so check the entire events schedule. Stay awhile and get to know some local hot spots for hiking and fishing, or kick back to rest and enjoy the great ambience of our pristine Adirondack region.